Worst Companies to Work for in B.C. We've told you about the best workplaces, now brace yourself for the worst. These are the qualities to avoid while seeking out jobs in Vancouver and throughout B.C. Walking into the headquarters of 1-800-GOT-JUNK is like stumbling onto the set of The West Wing, NBC’s fly-on-the-wall fantasy about life, love and the pursuit of power in the Oval Office. Like President Josiah Bartlet’s White House, Brian Scudamore’s corporate headquarters overlooking Granville Island is full of energetic people running hither and yon. This eager, scrub-faced enthusiasm permeates the office and extends to the inspirational slogans painted on the walls and the daily ‘adrenaline’ meetings during which employees gather in a circle and talk about the days in which they are advancing the common cause. On the surface this corporate culture is easy to make fun of, but if you judge by results rather than appearance, you have to admire what Scudamore has created. We've told you about the best jobs, now brace yourself for the worst. These are the qualities to avoid while seeking out jobs in Vancouver and throughout B.C. In addition to being one of the fastest-growing franchise companies in North America, 1-800-GOT-JUNK – with 150 franchises and sales in excess of $65 million – also took the No. 1 spot on the 2004 Best Companies to Work for in B.C. list profiled here in December, and for all the right reasons. In addition to earning competitive salaries, those lucky enough to land a job at the ‘Junktion’ enjoy a progressive work environment where flex time rules and communication is a two-way street. Call centre employees with big numbers can look forward to anything from free dinners to the use of a Mini Cooper for a month, and quarterly retreats take place on the slopes of Whistler or the banks of some river in between whitewater rafting trips. Employee satisfaction is in the numbers; the company’s turnover rate is a stingy 1.4 per cent. Unfortunately, for every 1-800-GOT-JUNK there’s a Janus-mirrored opposite we like to call Skrewu Inc. Companies where dysfunctional and occasionally psychotic employers seem to enjoy grinding their workforce into dust, wringing every last bit of labour and self-respect out of their people before replacing them like batteries in a flashlight. These are the kind of leaders who would admire the actions of an infamous restaurant owner in Victoria who demanded that his waitresses, all recently arrived young women from Japan with uniformly poor language skills, turn all their tip money over to him for permanent safekeeping. When confronted by a customer who discovered this odious practice, he defended his policy thusly: “They’re all stupid, ignorant immigrants. They wouldn’t be here if it wasn’t for me.” He then asked who the squealer was so that he could fire her, presumably to teach the rest of the malcontents a lesson. TRUE STORY Naturally, we’d love to publish an issue honouring these throwbacks to the dawn of the Industrial Revolution. We’d like to name names and sling some well-deserved mud, but unfortunately our lawyers aren’t quite so enthusiastic. (Evidently this has something to do with the fact that even bad companies can afford good legal counsel.) We have, however, devised a list of qualities we’d be looking for among our imaginary Worst Companies to Work for in B.C. Read on. If your company fits any of these criteria, consider yourself a nominee. ALWAYS DICTATE, NEVER LISTEN Here’s some good advice for making our list courtesy of Jane Graydon, director of HR for B.C. Biomedical, a company which has occupied the top spot in Report on Business magazine’s Best Employers in Canada list for the past three years running. “Impose programs from above and never ask employees their opinion on anything,” advises Graydon. Don’t undertake employee surveys to see how people feel about the company or their roles in it. If you do, never say thanks for the input and, whatever you do, don’t act on the results – a guarantee that the exercise will foster additional mistrust and future non-cooperation. Have a one-size-fits-all attitude and make sure the square pegs fit the round holes you’ve made for them or send those recalcitrant staffers packing. Don’t empower individuals or committees because that tends to make them uppity and will lead them to challenge the wisdom of their superiors. If you do, override any decisions they make that you don’t like. Don’t explain why. Trust us, this stuff works. BE A BULLY Ah, power. What good would acquiring it be if you couldn’t let it go to your head? Push people around. Bang your fist on the table and watch them tremble. Fun, huh? Doing this will make your company a shoo-in for at least an honourable mention on our Worst Companies list because an abuse of power in the executive suite invariably results in a culture of abuse throughout the organization. A fearful workforce is a productive workforce, right? Then again, maybe not. When we asked him what effect bullying tends to have on a corporate culture, Vancouver-based psychologist Gordon Reid responded by quoting Newton’s Third Law of Motion. “For every action, there is an equal and opposite reaction,” he observes. Hence, when employers bully their employees – and this can include a range of activities from verbal abuse and exploitation to thwarting ambition and failing to help people realize their true potential – those pushed-around employees will figure out a way to push back. And because doing so openly can have adverse consequences (like getting fired), these paybacks tend to be sneaky and underhanded. Productivity plummets as the disgruntled underlings slack off, use up sick days and spend their time hanging around the water cooler bitching and complaining. IGNORANCE IS BLISS Another great way to stir up dark thoughts among employees, foster a climate of fear and sabotage productivity is to deny them information about the company. Particularly information they need to do their jobs or protect their own interests. Stephanie Shelton, an internal communications specialist at Creo, says this is especially good advice for Worst Company-owners facing an unexpected crisis. So do not do what Shelton and her colleagues did when Creo faced a crisis of its own recently. The company was rocked by what amounted to a shareholder revolt and demands that Creo’s entire board be sacked. When the company announced it had agreed to a takeover worth US$950 million by Eastman Kodak, the bid mollified investors but the in-house uncertainty continued unabated. What would the takeover mean? Would there be wholesale layoffs? “I’ve seen it before,” says Shelton. “When employees don’t get enough information about the company it leads to speculation and rumours.” Instead of ducking the issues, Shelton and her team tackled them head-on, grinding out emails explaining the situation and clarifying whatever was posted on the company’s intranet site. She made sure the employee newsletter was relevant to the situation and not just a bunch of rah-rah, we’re-the-best bafflegab. She helped quell rumours and assuage fears. Gunning for top spot on our Worst Companies list? Don’t follow Shelton’s example. 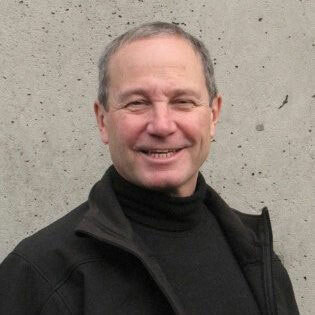 EMPLOYEE TRAIN THYSELF If you think facilitating ongoing skills training for your employees is a waste of time, avoid having lunch with Brian Merryweather, HR manager at the City of Surrey’s head office. He’s going to say something that will really annoy you, like: “If you think it’s tough having somebody leave your company on whom you’ve invested a fortune in training, it’s far worse to have someone stay on whom you haven’t spent any money.” For dessert he might add something about how training programs “regenerate and invigorate people and help them think about other things when they get back to their desks.” And you’re probably thinking, “What? He lets them leave their desks?” KNOW THY ENEMIES Gervase Bushe, an internationally recognized organization development scholar at SFU, has some advice for companies with a unionized workforce interested in competing for a Worst Companies award. Start by hiring a director of labour relations who understands that it is his or her job to get every possible concession from the union, and then work to ensure that the union is given as little power as possible in return. Teach senior management to isolate and ignore the union so that the only way for it to have any influence is by enforcing the letter of the contract. Be sure to promulgate the view that union leaders are elected based on their ability to harass and embarrass managers. Prove your point by allowing simmering resentments to boil over into a work stoppage over a minor issue. If necessary, provoke the union so you can show how tough you are. Unions can do their bit to help this process along by fighting to protect employees whose lack of competence and motivation is detrimental not only to the company but to the job satisfaction of other employees. Bushe says he has seen all this before and assures us that it is a foolproof way to enrage your workforce. Or did he say foolish? Whatever. 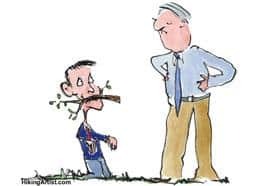 IGNORE HARASSMENT ISSUES Robert Hungerford, a lawyer with Hungerford, Tomyn, Lawrenson & Nichols, a firm specializing in employment issues, has a terrific idea for our Worst Company wannabes: pretend harassment is never going to be a problem. Start by not having a harassment policy (despite the fact that you can find a suitable template by just Googling the words ‘harassment’ and ‘policy’). If harassment issues related to gender, sexual orientation, race or religion do crop up, ignore them. You stand a good chance of losing not one but two valued employees. You can watch in delight as the fabric of your company is torn asunder as other employees pick sides. You’ll also enjoy defending your policies, or lack thereof, in front of the Human Rights Tribunal, which can levy fines that you will no doubt be delighted to pay. Assuming your tale of non-engagement hits the press – as it usually does by the time a case gets to the tribunal stage – you can enjoy having your company’s reputation dragged through the mud. [pagebreak] DON'T MONITOR PERFORMANCE Paula Bifano, HR manager for Progressive Solutions in Vernon, explains that performance management programs achieve two things: they help employers foster an understanding of company goals and address ineffective performance and/or behavioural issues before they get out of hand. So don’t have one. Not having a program will make it more difficult for your managers to identify and develop critical skills your company will need as it grows and the world changes. Especially if your business belongs to a sector where there are rapid changes taking place or a lot of competition. Keep in mind that companies with performance management programs tend to have employees who understand who they are and where they’re going, and are therefore better able to focus on what’s right about their job, instead of what’s wrong with it. This tends to keep them around longer – but why would you want to do that? BE A CHEAPSKATE Ah yes, money. You’re probably wondering why the subject of compensation sits so far down our list of qualifications. It’s not that money isn’t important, it’s that when it comes to job satisfaction surveys, money is not one of the top five things employees beef about. John Hammond, who heads up the local office for Mercer Human Resources Consulting in Vancouver, says, “You’ll see it in the top 10, but not in the top five.” That doesn’t mean it isn’t important but here’s the nub; more money for your employees means less for you. So as a candidate for the Worst Company list you’ll want to find out what the competition is paying and work the low end of the scale. Do not conduct compensation reviews and if any of your employees have the temerity to ask for a raise, use it as an opportunity to discuss performance management. Carefully explain that considering the crummy work the employees have given you thus far, what you should be doing is lowering their salaries, not raising them. While they’re still reeling, tell them in no uncertain terms to shape up and try again next year. Pat yourself on the back as they walk out of your office with their heads hung low. Celebrate your victory by buying yourself a new set of golf clubs. 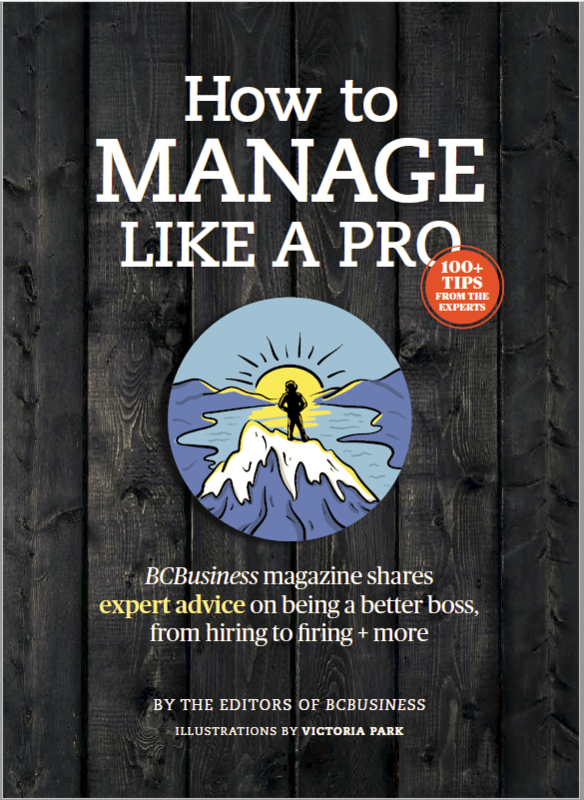 AVOID CONFLICT AT ALL COSTS Laura Reid, a partner and senior advisor with Arlyn Reid, an HR consulting firm in Vancouver, has some useful advice for Worst Company-owners who want to see power struggles and other unpleasantness fester as long as possible. Avoid confrontation with people who are making others miserable and maintain a distance from the situation by adhering to the principles of political correctness. “God forbid that we should say, ‘Look, you’re acting like a jerk and you’re making people cry,’” she says. Do not, whatever you do, think about what people in happy marriages (and companies) learn, which is that problems avoided weaken relationships and problems resolved strengthen them. AND FINALLY, FOR GOOD MEASURE Do not introduce flex-time programs, since doing so gives employees a sense of empowerment. Do not host social events, despite evidence that they create opportunities for interaction among employees and helps them empathize with people in other departments, boosting morale. Do not hire young women and, if you do, make sure you only assign them menial jobs; after all, from your perspective as a Worst Company-owner, they’re only going to get married and leave you in the lurch, so why invest in them? Do not provide your employees with health benefits – what are you, the government? Make employees who take holidays or refuse to work unpaid overtime feel like they are not being part of ‘the team.’ If they grab their jacket at 5 p.m., ask them where they’re going. Do it every day so they know the work hours aren’t really the work hours. And when you’ve had a good month don’t, whatever you do, give out bonuses. Why would you? Staff are supposed to exceed expectations. And anyway, they’re not going anywhere. Who do they think they are? Show them who’s boss… fire one every now and again to make an example. THE ULTIMATE REVENGE According to People First Solutions, a Vancouver-based recruitment firm, attrition typically costs companies 18 months’ salary for each manager or professional who leaves, and six months’ pay for each salaried employee who jumps the slave ship. FAMILY AFFAIRS Some of you might be surprised to find that practicing nepotism is not on our list of recommendations for companies vying for a Worst Companies to Work For award. That’s because nepotism, officially defined by the academics as hiring family or friends, is not necessarily a bad thing. Ideally, business managers and owners hire qualified candidates and don’t promote them over deserving employees within the organization. Seidel warns, however, that “the primary impact [of nepotism] is that you get clones of the employees you already have.” Is this a bad thing? Where the work is repetitious and speed is of the essence, having an employee base where everyone thinks the same is an asset. “If you get a bunch of people together who think the same way, it’s easier to do complex jobs quickly because they all think, ‘Hey, that’s a good idea,’ ” says Seidel. On the other hand, creativity gets stifled because the evolution of ideas tends to happen in environments where there is conflict. We don’t mean fisticuffs in the cafeteria, but in civilized arenas, such as boardrooms, where ideas can clash and new ways of thinking emerge. Like it or not, nepotism is not going away. According to Seidel it is, by far, the most common recruiting method. Research indicates that 10 to 30 per cent of blue-collar jobs are filled this way, and anywhere from 50 to 75 per cent of white-collar jobs. THEY'RE ONLY HERE TO WORK If you’re one of those business leaders who thinks money spent providing employees with attractive workspaces is wasted, Bill Rinsma, facilities director for Business Objects, has some advice for you: “Make sure employees work in an environment in which they have no control,” and “Don’t think about ergonomics.” After all, employees are here to work; if they want to lounge around, they can do it at home. Whatever you do, he says, don’t have a gymnasium (the most commonly requested office perk), do not create away-from-work spaces where employees can relax, watch a little TV, or curl up and have a nap like they do at Rinsma’s firm. Don’t buy plants or break the monotony of surroundings with artwork or other decor. Better to be like a former employer of Rinsma’s who nailed boards over the office windows of people who hadn’t reached a pay grade worthy of such luxuries. Bet you hadn’t thought of that one.